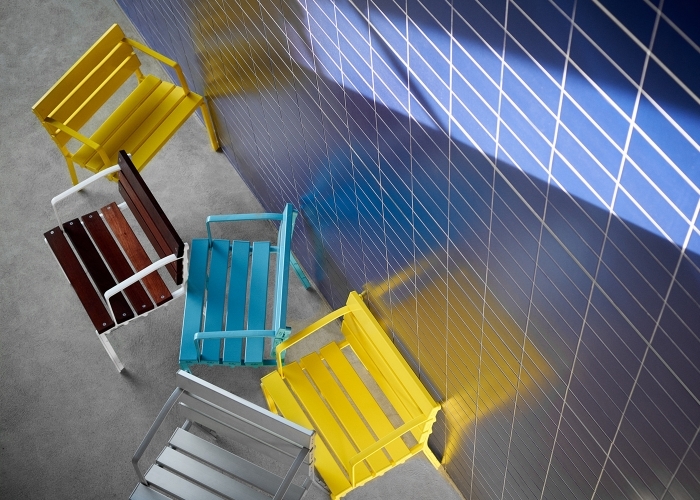 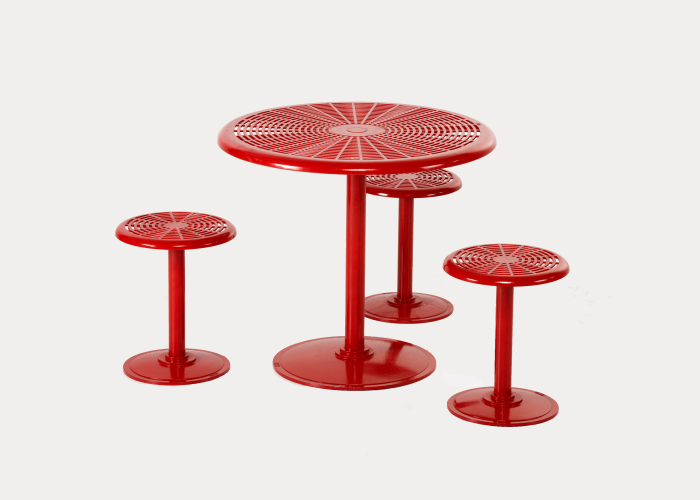 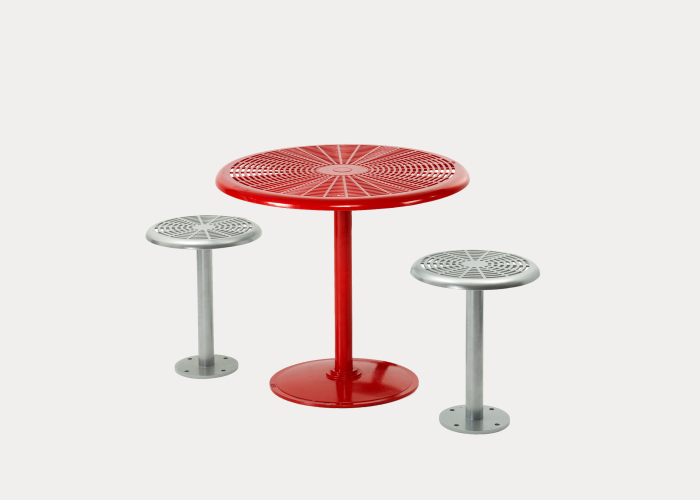 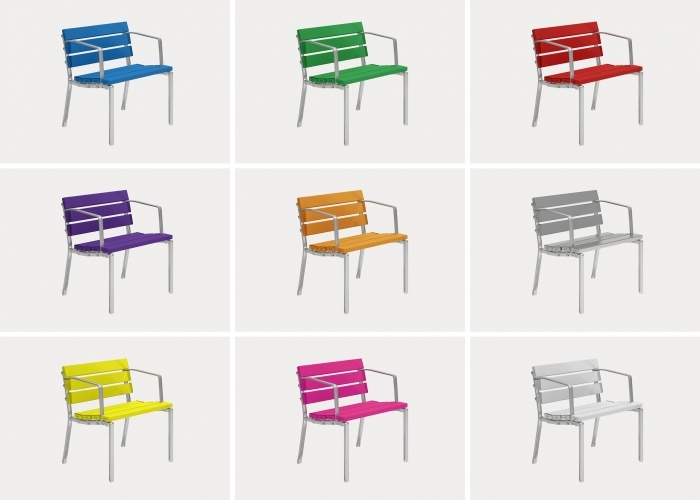 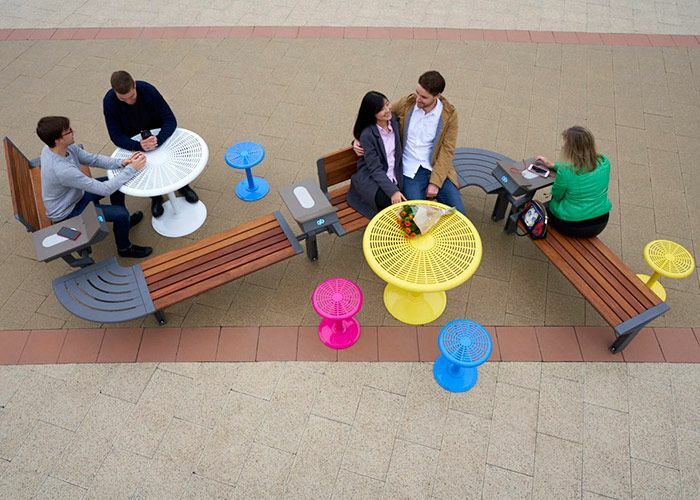 Movable Forum Seats create social hubs flexible to the position of the sun. 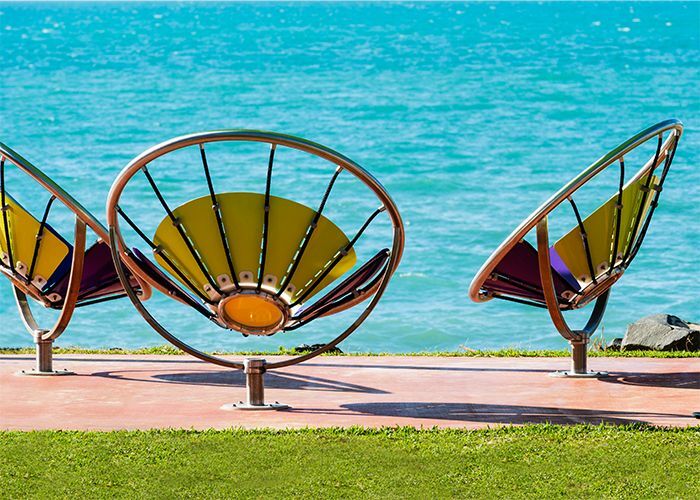 Forum gazing out to sea. 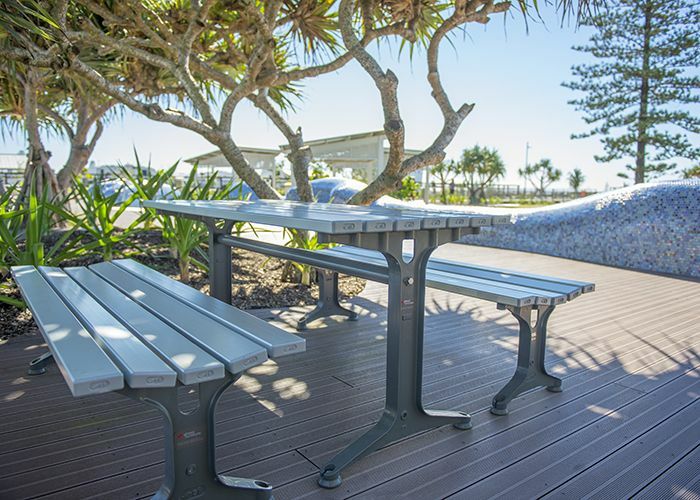 Forum Seats, Cafe Tables and Semi Hoop Bicycle Parking at Kingscliff Foreshore. 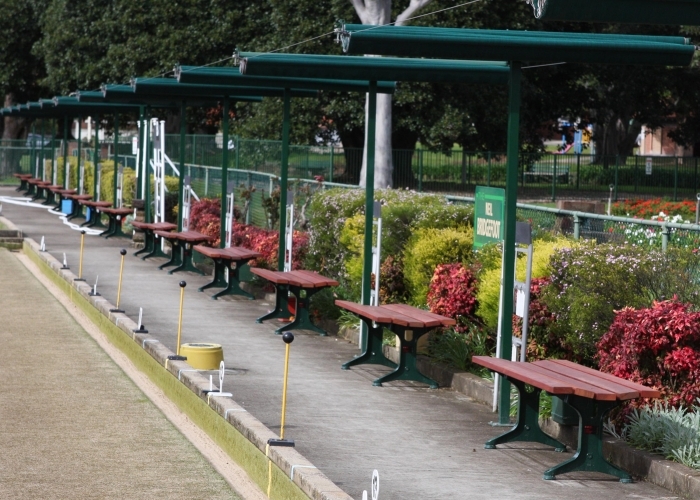 Park Settings are family-friendly under the shelter. 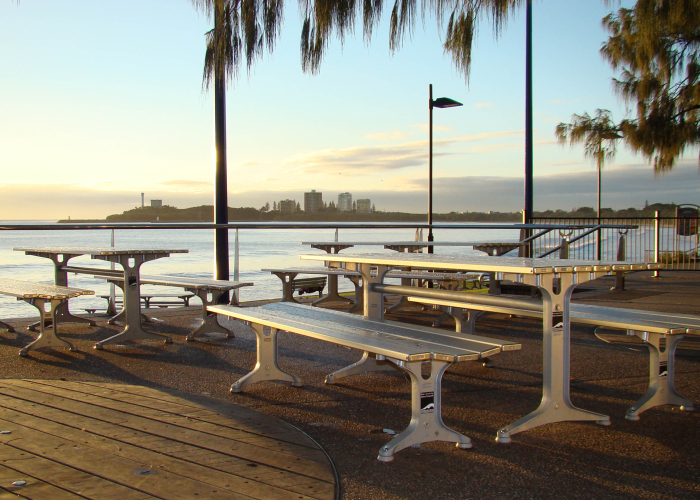 Slim Bollard at Kingscliff Foreshore. 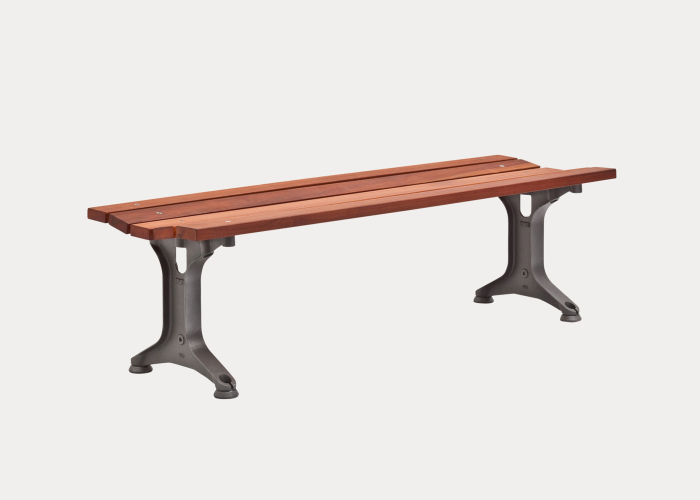 Park Seat for resting and recharging. 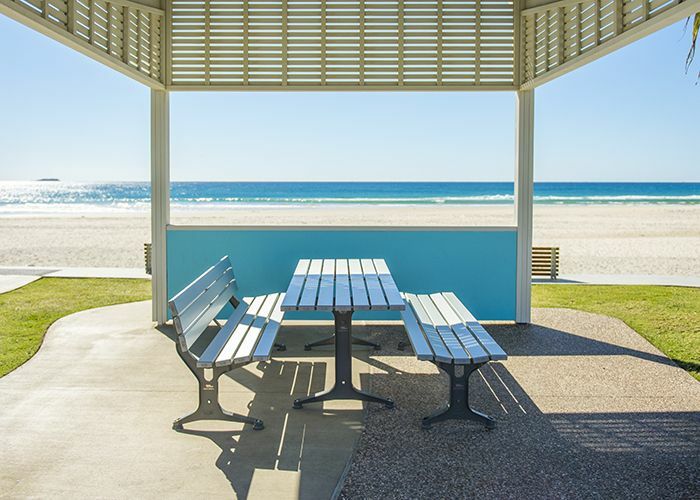 Park Setting in prime picnic position at Kingscliff. 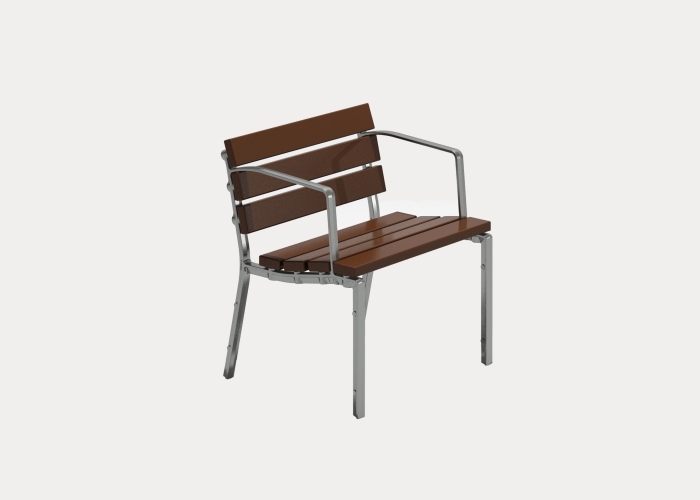 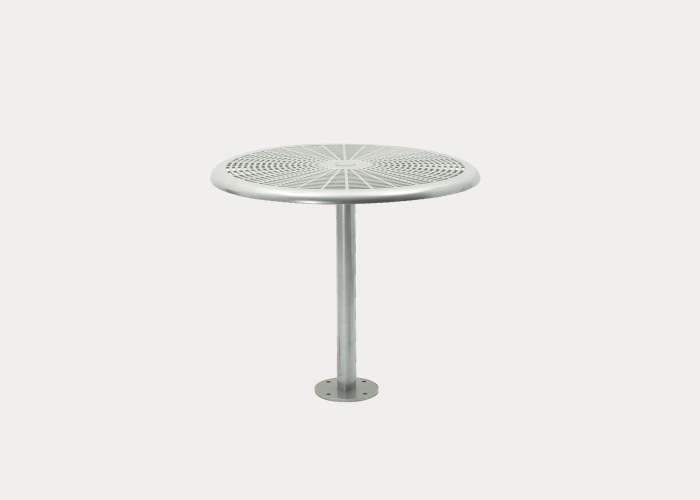 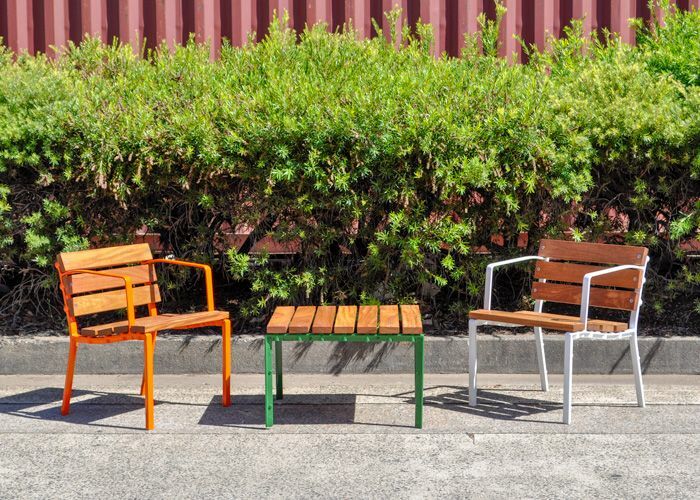 Bespoke Seats for Tweed Shire Council. 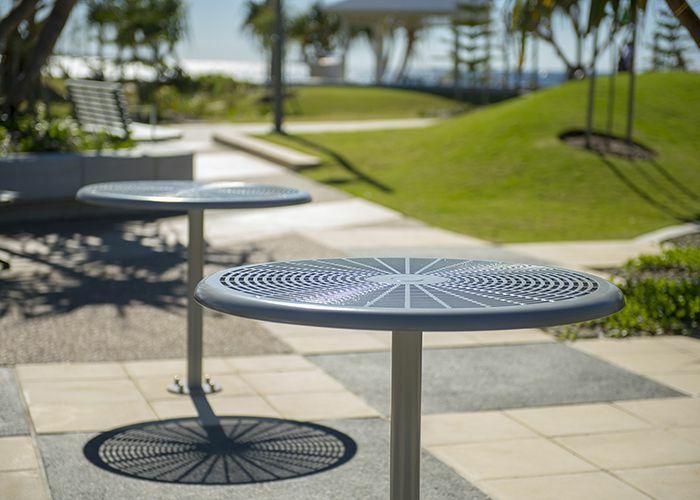 Cafe Tables at Kingscliff Foreshore. 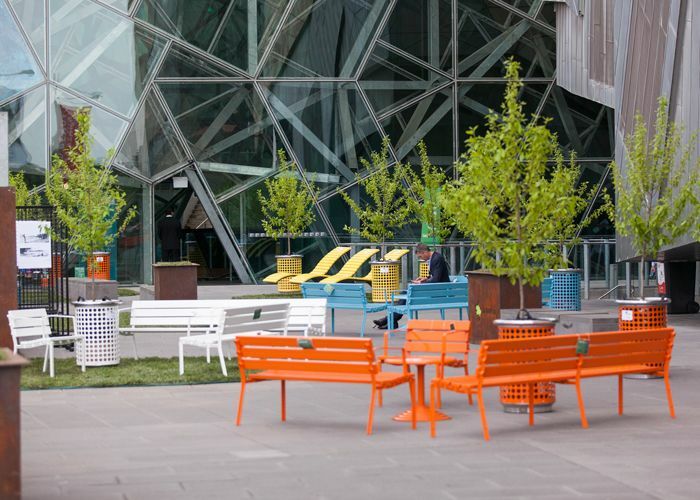 Park Settings with a mixture of Seats and Benches. 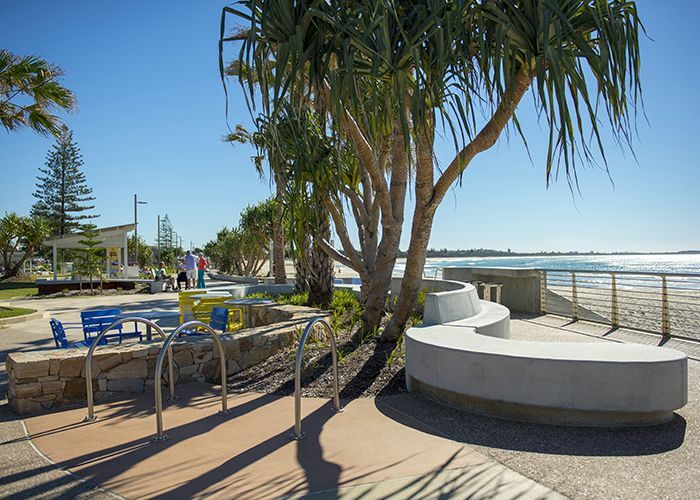 This $22-million foreshore revitalisation is designed to create a link between the beach, the new central park and the CBD for the highly engaged Kingscliff community. 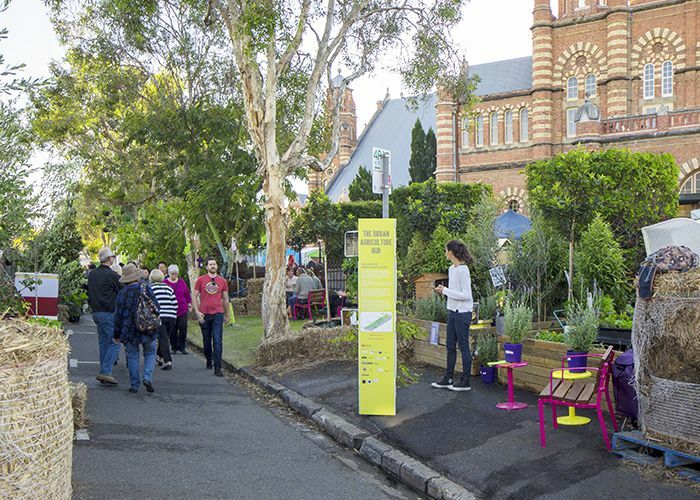 The project conducted community consultation at several points, to make a place that locals can call their own. 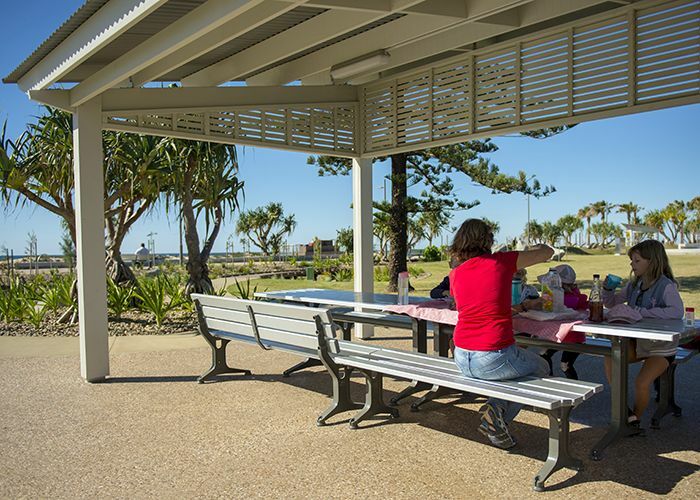 “Everyone who has worked on this project has done an outstanding job and I know the community is excited to take ownership of their new park,” said Mayor of Tweed Shire, Councillor Katie Milne. 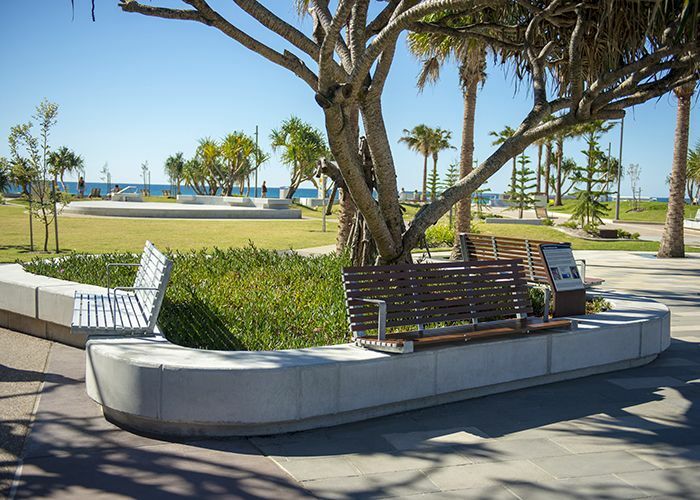 The new central foreshore park, Rowan Robinson Park, is named in honour of a former local Surf Life Saver who lost his life serving in Afghanistan. 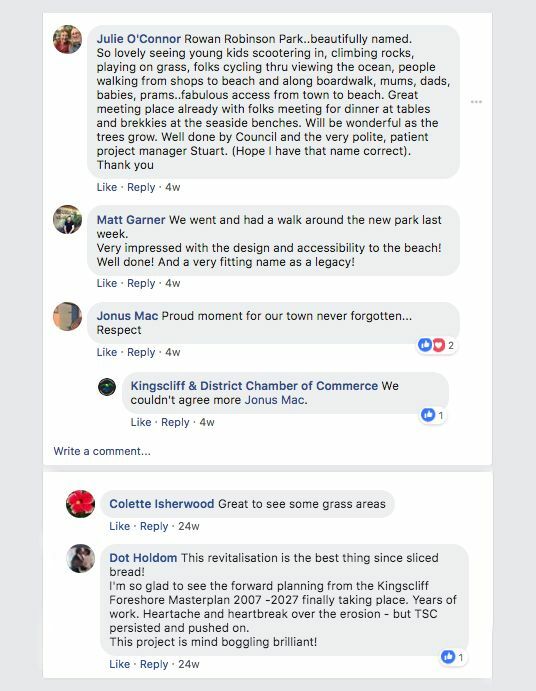 The name was put forward by a number of people in the community in response to a callout for ideas to change the name from Central Park. 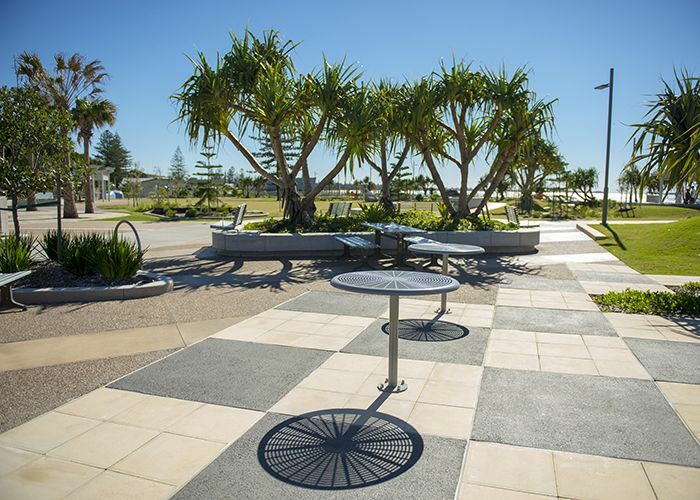 The community was invited to describe what they love about Kingscliff, with four quotes to appear on engraved pavers. 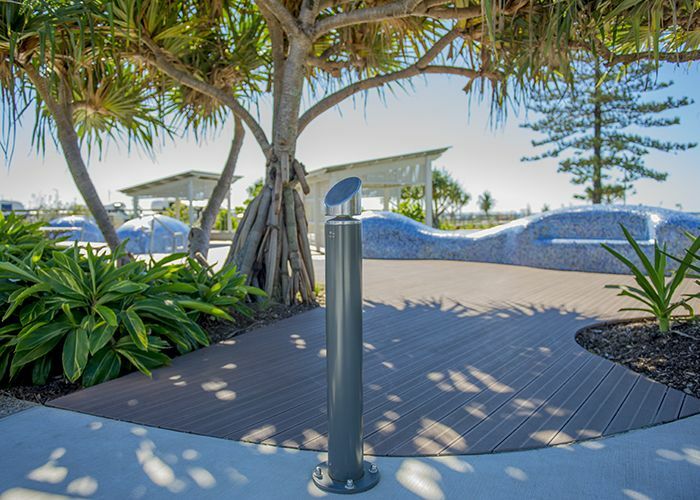 “Kingscliff Central Park will be a social hub for the village and the carved pavers will be another way to add some community heart and soul to the space,” Project Manager Stewart Brawley said. 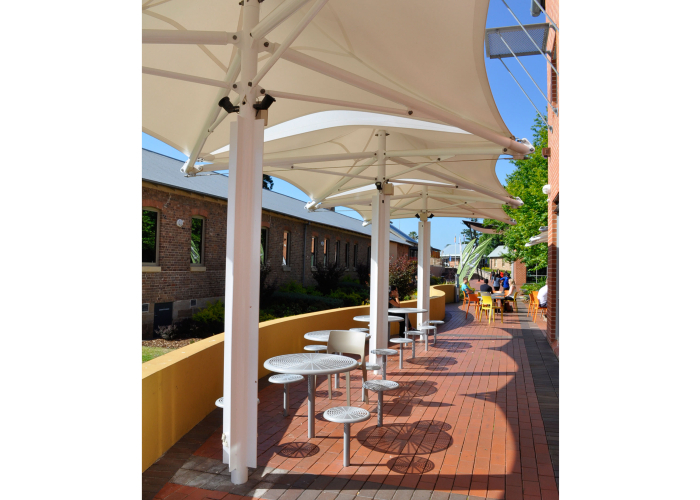 Almost 400 voters picked the following from a shortlist of 14, by Yolan Barker, Annette VanZetten, Ashley Raso and Renee Shaw. 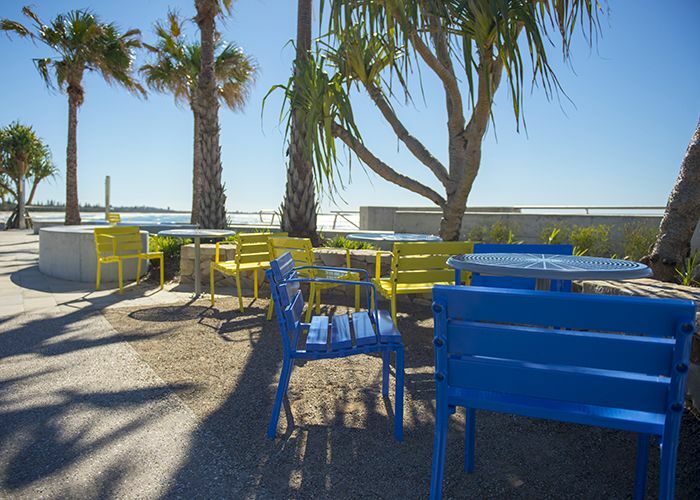 Get your Vitamin Sea here. 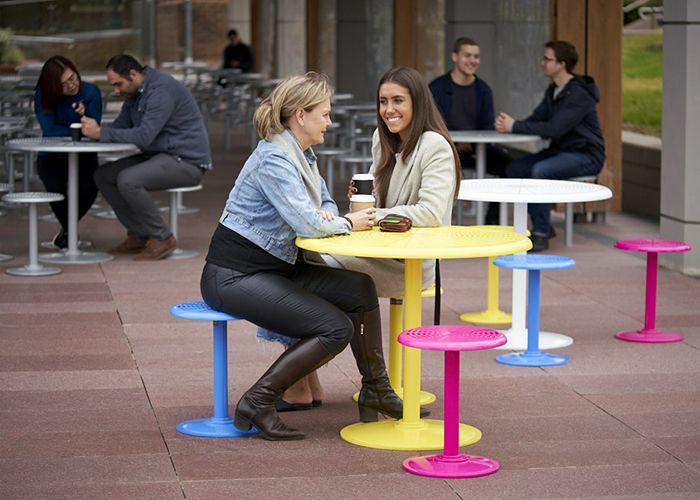 Stay a while, leave with a smile. 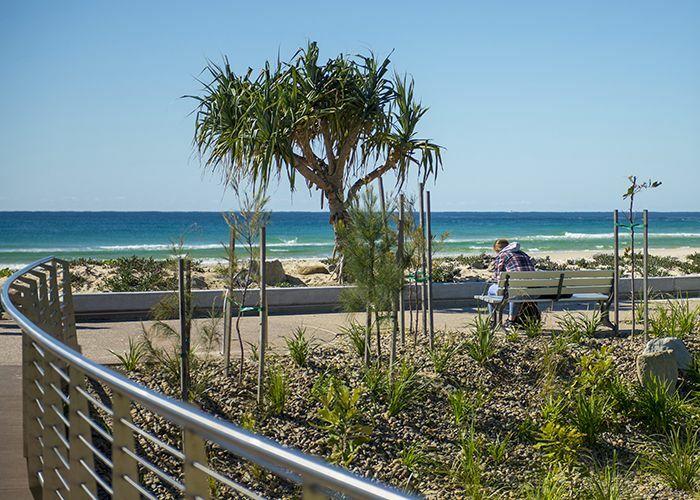 Salty toes and sand in my clothes – I know I’m home – in Kingscliff. 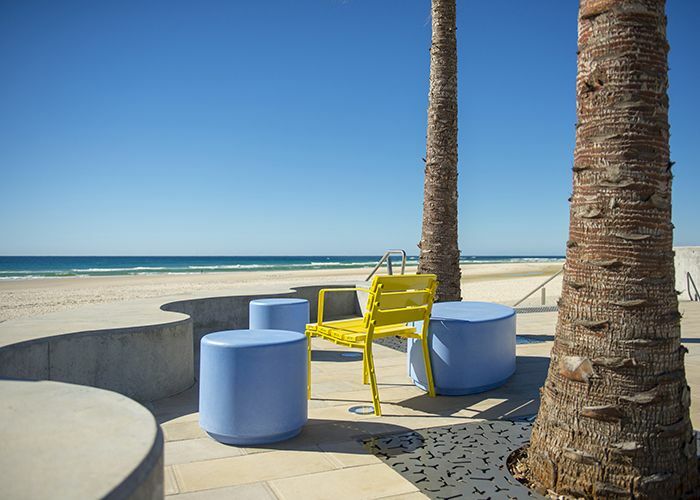 From beach to creek and village too, Kingscliff aims to welcome you. 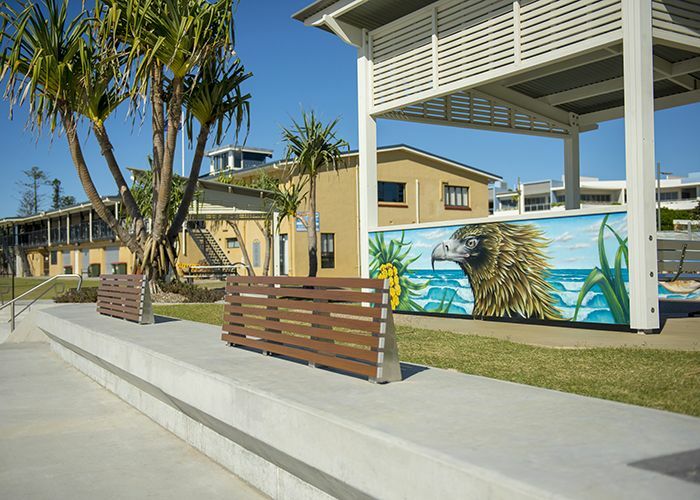 A mosaic wall was decorated with tiles created by Kingscliff Primary School, and Murwillumbah artist Tony Lawrence painted a mural on the table tennis table. 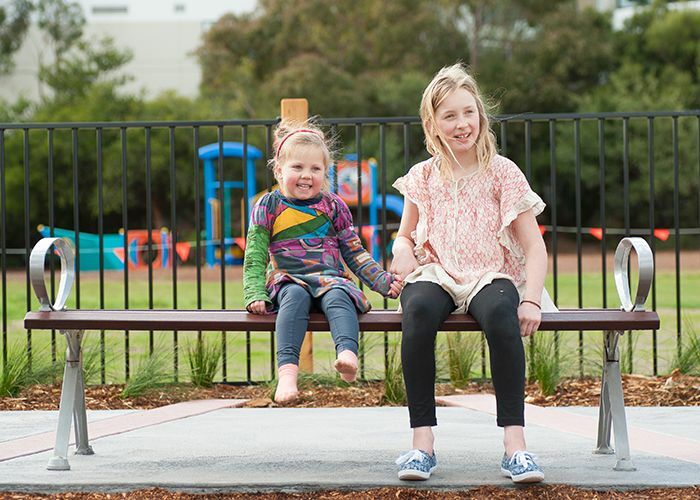 As part of Local Government Week, Project Manger Stewart Brawley ran three booked-out behind-the scenes tours during construction, to familiarise the community with their new space. 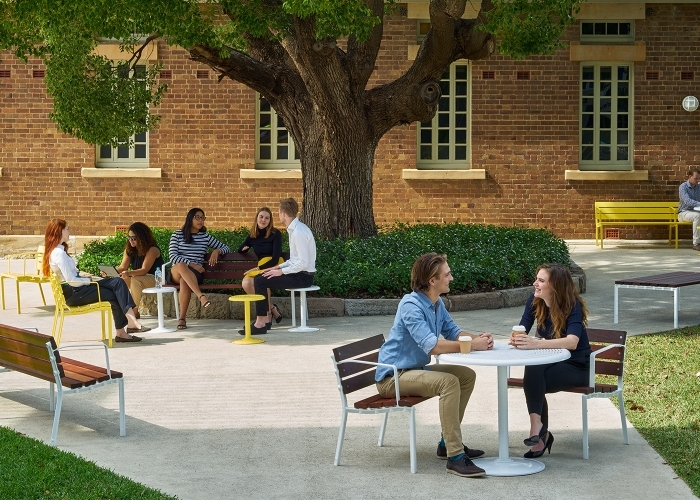 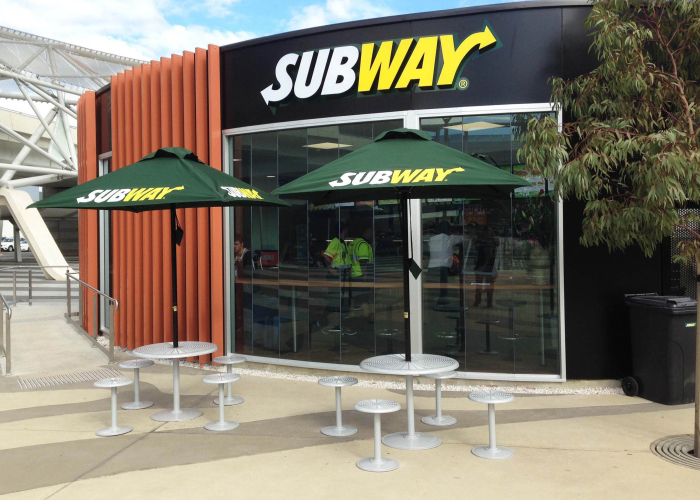 Street Furniture Australia is proud to have contributed to this fantastic community project with moveable Forum Seats, Sun Lounges for basking, Cafe Tables, Park Seats and family-friendly Park Settings, as well as Semi Hoop Bicycle Parking. 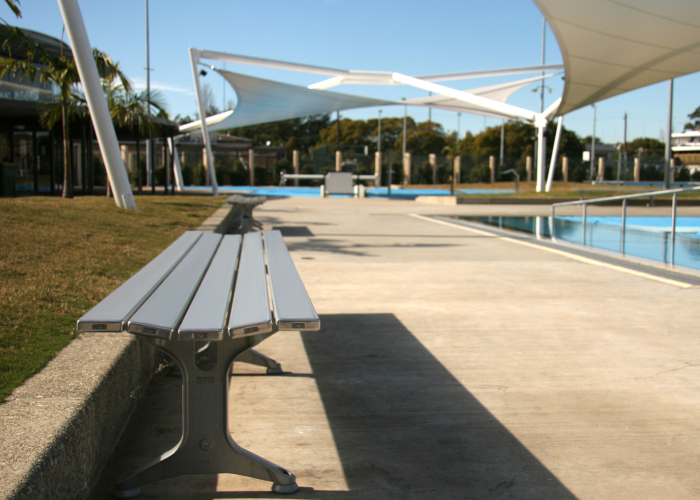 At least six of the Park Settings are wheelchair accessible. 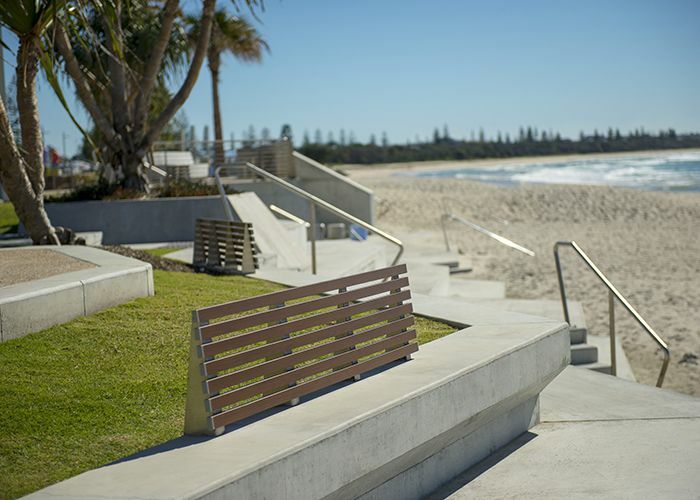 Bespoke seats were also commissioned by Tweed Shire Council, some freestanding, some mounted on concrete plinths and on steps, to sit back and watch the ocean. 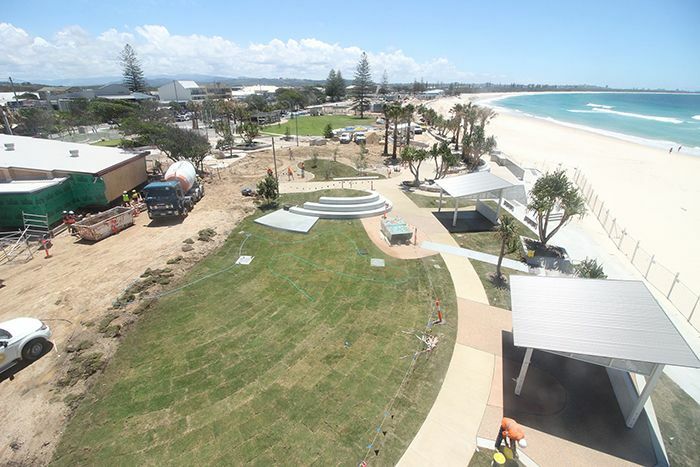 “Kingscliff Central Park will be a social hub for the village” – Stewart Brawley, Project Manager.